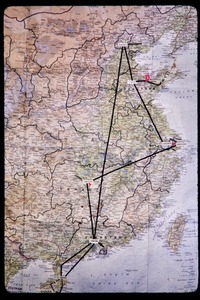 China - From a series of images of the second Science for the People trip to China; scans made from originals retained by the photographer. Amherst (Mass.) 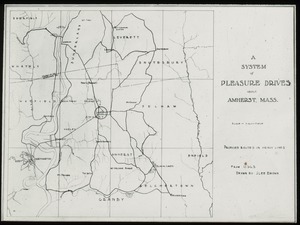 - Image of map drawn by J. Lee Brown depicting scenic drives near Amherst. 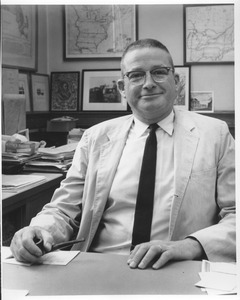 Hugh Montgomery seated in with a pipe with framed maps, prints, and photographs in the background.